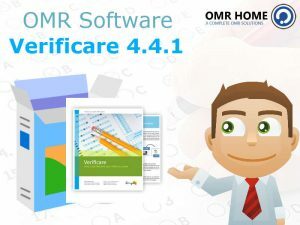 OMR Home develops an advanced version of its pioneer product OMR software, Verificare. The brand has developed Verificare the OMR sheet reading software version 4.4.1. The team incorporating innovative technical professionals worked all day and night long to feature this premium software with advanced functionalities. This version has no dependency to use a traditional printing press. The user can use a normal printer to print a bundle of OMR sheets at once. It is compatible to printer units ranging from flatbed/ ADF/ MFP, etc. The software can incorporate a variety of sheets to develop an OMR based form. It can produce prints on A3, A4,A5, etc paper type. It will support black-and-white and colored printing of sheets. The software offers an extra-edge over the traditional reporting tools. Using this a user can track advanced reports of the appeared aspirants. It can generate ranks, section-wise, subject-wise reports. The developed set of reports can swiftly be saved on excel to be used for further forefront analysis. Verificare introduces an advance concept of confidence factor that will help in pre-defining the darkness levels. It will read the pre-defined regions of darkness with the specification of the maximum and minimum percentages. The user gets the choice to select the reading modes of the type auto and manual. These modes can read up to a considerable angle of deviation. It is instructed to entitle uniqueness of few major entities like name, roll no., etc to have an easy calculation of final results. The user can freeze and unfreeze a particular section of the OMR sheet, considering an example; you can freeze the design of a designed OMR sheet in order to maintain a consistent and synchronous, printing and reading output.This software is also featured to support review of sheets as per the user requirement. It will make the easy analysis of the answers and streamlined capture of question wise reports. The partial marking scheme can be instructed to attain the corresponding scores in accordance to the specified definition. Verificare the OMR reader software feature premium security. Using the SMS feature, the user can share the pre-designed templates with any of the service provider. Furthermore, the user can attach the OMR read fields to ensure fine exposure at the aspirants end. This software now introduces an add-on feature named test analytics. This empowers smooth and swift creation of detailed reports. It can verify the generated reports in graphical and tabular formats. The user can use the produced set of reports to analyze section wise, question wise, subject wise, etc. Now, when you want to invest in an OMR software, OMR Home brings to you its pioneer product Verificare version 4.4.1 that is an ultimate combination of advanced functionality complimented with premium efficiency marks. After study a number of the blogs in your website now, and that i genuinely like your method of blogging. I bookmarked it to my bookmark web site list and you will be checking back soon.